Ruth Tenzer Feldman is the author of numerous historical and political nonfiction books for children and young adults, including "The Fall of Constantinople," "Thurgood Marshall," "Don't Whistle in School: The History of America's Public Schools," and" How Congress Works." She holds degrees in both law and international relations, and has spent time working as a legislative attorney for the U.S. Department of Education. Ruth is an active member of local Jewish organizations and historical societies. 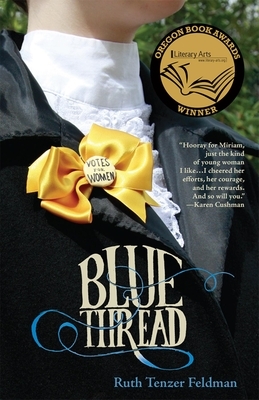 She has spent countless hours researching Jewish history, women's suffrage, and early twentieth century printing techniques to bring historical accuracy to "Blue Thread," her first young adult novel.